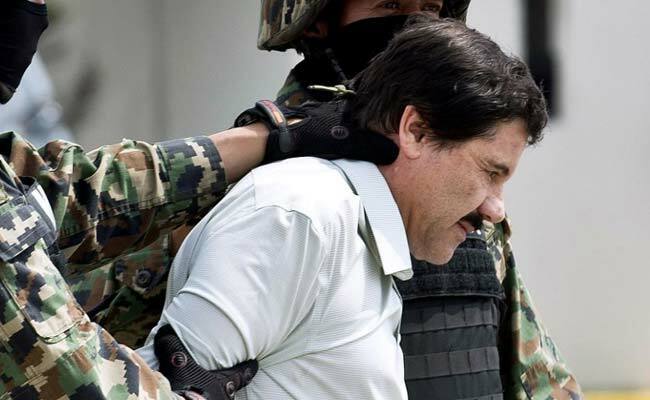 "El Chapo" Guzman, one of the major figures in Mexican drug wars that have roiled the country since 2006, was extradited to the United States for trial in 2017 after he was arrested in Mexico the year before. The world's most infamous cartel boss Joaquin "El Chapo" Guzman, who rose from poverty in rural Mexico to amass billions of dollars, was found guilty in a U.S. court on Tuesday of smuggling tons of drugs to the United States over a violent, colourful, decades-long career. Guzman's attempt to take territory from a rival cartel was one of the main reasons for an explosion of drug violence in Mexico. The government has registered more than 250,000 homicides since it launched an aggressive war on cartels in 2006. A report by the U.S. Congressional Research Service last year estimated 150,000 of those deaths were tied to organised crime. U.S. District Judge Brian Cogan told the jurors after the verdict that it was up to them to decide to talk to the media, but that he would advise against it. "Once that door is open, it can't be closed again," he said. Estimates of how much money Guzman made from drugs vary. In 2009, Forbes Magazine put him on its list of the world's richest people, with an estimated $1 billion. It later dropped him from the list, saying it was too difficult to quantify his assets. In one of the trial's final days, Guzman told the judge he would not testify in his own defence. The same day, he grinned broadly at audience member Alejandro Edda, the Mexican actor who plays Guzman in the Netflix drama "Narcos."